Blast from the past: Salmon mousse is a fabulously retro dish which has stood the test of time. 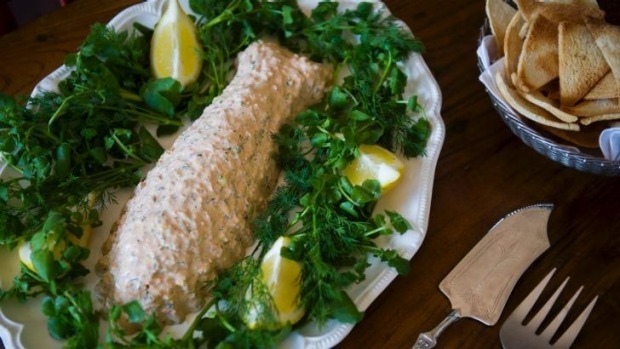 Salmon mousse is really a retro dish, especially when set in a fish mould. It is certainly a lovely dish that has stood the test of time. 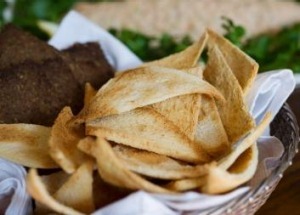 Serve as an elegant starter for Christmas lunch with Melba toast, pumpernickel bread and cucumber salad. For special occasions like Christmas, serve the mousse with slices of smoked salmon. Green asparagus also goes very well. My friend Elizabeth Johnson requested this recipe and she and her daughter, Alix Snow, have been my chief tasters as I have worked on the recipe. 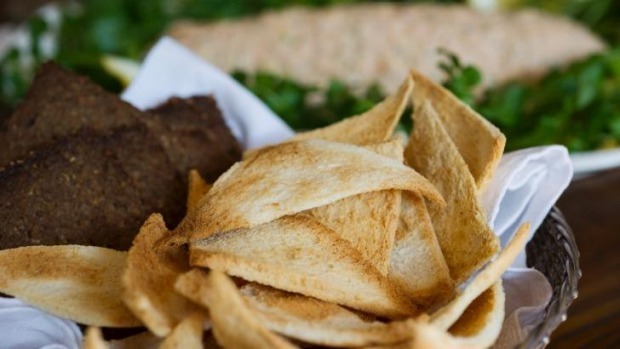 Crunch time: Melba toast is the perfect accompaniment to the salmon mousse. Oil a fish mould, ring mould or metal bowl with a three-cup capacity or six dariole moulds. Alternatively, the mouse could be set in the serving dish or individual dishes. To dissolve the gelatine, pour the half cup of hot water into a jug and add the tablespoon of gelatine. Stir briskly with a fork until dissolved. Mix the lemon juice into the gelatine mixture and set aside. Drain the salmon and remove the bones and skin and discard. Mash the flesh with a fork. In a large bowl, mix the mayonnaise and yoghurt or whipped cream with the dissolved gelatine and lemon juice. Add the Dijon mustard, paprika, tabasco, shallot or spring onion, capers or cornichons, dill or parsley, celery and salmon. Now taste the mixture and make any adjustments needed. Add a teaspoon of white-wine vinegar and a little sugar if the flavour needs lifting. It shouldn't need salt. Tip the mousse mixture into the oiled mould (fill to within one centimetre of the rim) or individual moulds. Cover with oiled plastic wrap. Set on a tray with a tea towel around it (for the fish mould) to keep it steady and chill in the fridge. It will take a few hours to set. To turn out, dip the mould in very hot water and count to 10. Turn the mould out onto a serving plate and, if necessary, give it a shake to release. If it is not in the middle of the plate, give it a jiggle. Chill until it is to be served. Melba toast and pumpernickel bread are ideal accompaniments for salmon mousse. Decorate around the mousse with watercress sprigs or lettuce and lemon wedges. Drape smoked salmon slices over the mousse if desired or serve a slice with each serving. You can give the fish an eye with a slice of cornichon. 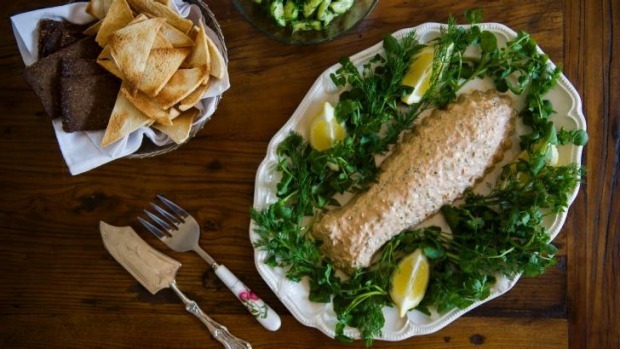 Serve the salmon mousse with Melba toast or pumpernickel bread and cucumber salad. Use fresh salmon that has been poached and mashed. Two fillets of salmon should be enough. (As a guide, two cans of prepped salmon weigh 315 grams). Add 50 grams of chopped smoked salmon to the mousse if desired. Trim the ends of the cucumbers and peel or part-peel in strips as you wish. Cut in half lengthways and then slice into half-moons. Whisk or shake the dressing ingredients in a jar and set aside. Before serving, add the herbs to the dressing and tip over the cucumbers and chill until needed. Serve the cold cucumber salad with the salmon mousse or with cold poached salmon. Set the oven at 160C fan or 180C regular. Lightly toast the bread in a toaster. Using a bread knife or serrated knife, cut the crusts off the hot toast, then split each piece of toast by carefully slicing horizontally through the middle. Scrape away any soft, doughy bits. Leave the sides of the toast whole, cut diagonally into two triangles or cut into rectangles. Then lay the slices on an oven tray with the toasted side down and bake in the oven for about 10 minutes until golden and crisp. Store the toast in an airtight container.